NOTE: Converting your layers into symbols is optional. When animating, you will need to enter the symbol to create a new drawing. 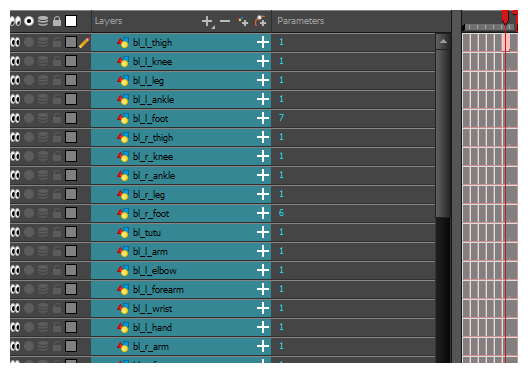 If you want to use morphing when animating, keep your layers as drawings. Do NOT use symbols. All your layers should be stored in the library as symbols. 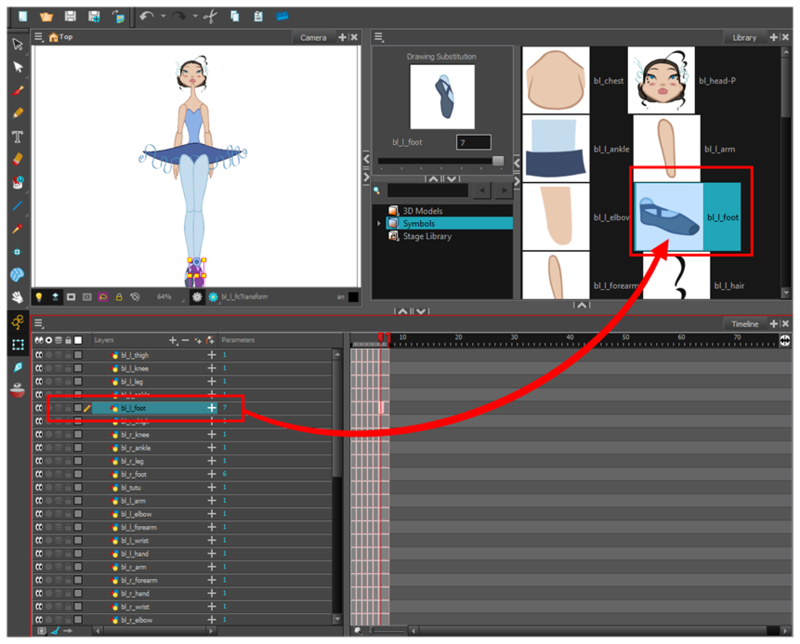 Before building your puppet, remove all the current layers in your scene. All of your work is saved in the library. ‣ In the Timeline view, select the layer to convert to a symbol. From the top menu, select Edit > Create Symbol or press F8. You can also click on the Create Symbol button available in the Edit toolbar. In the Enter Symbol's Name field, type the new symbol's name. It is recommended that you keep your original layer's name. Repeat this process for each layer in the Timeline view. NOTE: Make sure all your layers are stored in the symbol library. ‣ From the top menu, select File > Save As. You can also click the Save As button available in the File toolbar. In the Timeline view, select all of your layers. In the Timeline's Layer toolbar, click the Delete Layers button. In the Confirm Delete dialog box, click OK.